Growing rutabagas isn’t hard; the greatest challenge is timing your planting. Because rutabaga roots ripen best in cool weather, they need to be planted in time to mature in cool weather. Rutabagas are perfect for a fall crop in cooler regions or as a winter crop in warmer zones. They need about 90 days from transplant to harvest. In cooler regions, count back 90 days from the average date of the first fall frost, which you can find for your area on our fall frost maps. 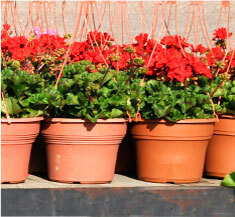 In warmer areas, time fall plantings by waiting until night temperatures are consistently in the 50- to 60-degree range. They also work as an early spring crop in areas where the ground isn’t frozen so that you can plant early; however, they are subject to early warm spells that take away from the sweetness compared to those planted in fall. 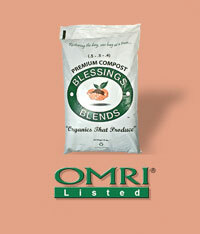 Rutabaga grows in ordinary soil, but crop quality improves when you work Blessings Blends OMRI-Listed Premium Compost (.5 – .5 – .4) into soil to increase its ability to hold water. Poor soil yields roots with a woody texture. Prior to setting out transplants, remove any large rocks that might interfere with root growth. Space plants 12 to 24 inches apart. Rutabagas need consistent moisture during the growing season. An old rutabaga- growing adage says, “If in doubt, water.” Spotty watering that yields alternating wet and dry soil can cause roots to split. This is where a soaker hose is invaluable to keep the soil moist but not soggy.